Ototoxic chemicals — substances which can harm hearing, even in the absence of noise levels — carry risks which can be under-acknowledged, but are associated with often life-changing effects related to hearing loss. Vicky Powell sets out the case for why employers and workers need to be better informed about this issue. Research by the European Agency for Safety and Health at Work (EU-OSHA) points out that the Persian philosopher and medical scholar, Avicenna — also known by the lengthy moniker of Abu Ali al-Husayn ibn Abd-Allah ibn Sina Balkhi — was the first person to describe the harmful effect of a chemical substance on ear function. In his influential Canon of Medicine, written almost 1000 years ago, he warned that when mercury vapour was used to combat head lice, the host could be deafened by the treatment. Much later on, in the 19th century, the antimalarial drugs quinine and chloroquine as well as anti-inflammatory salicylates became known as inducers of temporary ear impairments. Then, more recently, in the mid-20th century, hearing impairment caused by streptomycin and other antibiotics prompted pharmacologists and toxicologists to carry out deeper research into the action of ototoxic substances and how they affect the inner ear and the associated signal transmission pathways in the nervous system. However, it was not until the 1970s, when the ototoxicity of several industrial chemicals including solvents was recognised, that ototoxic substances came gradually to the attention of occupational hygienists. In 1986, researchers described the remarkable results of a study in Sweden, started in 1958 and involving regular hearing tests in workers. 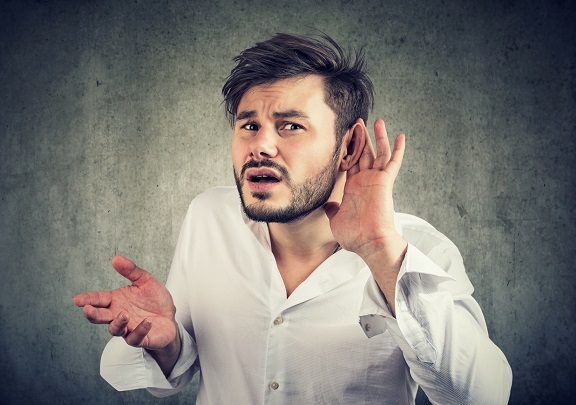 The study showed that employees in the chemicals sector were suffering from hearing loss, despite being exposed to significantly lower noise levels than workers in sawmills and paper pulp production. Based on the findings, the authors of the study concluded that industrial solvents were an additional causative factor in hearing loss among workers. Despite early historical references to ototoxic substances, gaps in knowledge about these chemicals remain to this day. What is known is that several work-related substances like solvents, heavy metals, asphyxiants and certain drugs are known to be ototoxic, having a toxic effect on the ear or its nerve supply, by themselves, in the absence of noise. There have also been several investigations, focusing on combined exposures to different ototoxic substances or simultaneous exposure to ototoxic substances and noise, which have shown adverse and interactive effects on hearing. These interactive effects are described as either additive or synergistic. An additive effect would have the effect of the predicted sum of the effects of single exposures, whereas a synergistic effect would have a greater effect than that obtained by the predicted sum of the single effects. However, it should be noted that there are also other substances and effects outside the workplace besides noise levels and chemicals used at work that can harm workers’ hearing. Research indicates that there is a link between smoking and hearing damage, likely due to a disturbance in blood flow and a reduction in oxygen supply to the inner ear. In addition, tobacco smoke contains hydrogen cyanide, which is an asphyxiant (see the list below of ototoxic substances). A recent study looking at more than 150,000 smoking and non-smoking adults found that smokers were over 15% more likely to have hearing loss than non-smokers. Alcohol has also been highlighted as a factor in hearing loss. German researchers tested heavy drinkers, as well as social drinkers, and found that alcohol consumption can damage the central auditory cortex in the brain, the region responsible for interpreting the sounds the ear picks up. When these cells are damaged or destroyed, they can’t be repaired. The other, and perhaps most obvious, factor affecting hearing loss is ageing. Presbycusis is the loss of hearing that gradually occurs in most individuals as they grow older. The term essentially refers to hearing loss due to a group of age-related physiological effects associated with ageing such as elevated blood pressure and cholesterol levels. By and large, the effects of presbycusis are characterised by a loss of hearing sensitivity and by a decreased ability to understand speech, particularly in the presence of background noise. The effects of ototoxic substances are complex in nature but EU-OSHA has highlighted the following substances (in a list which should not be viewed as exhaustive) as ototoxic in that they may harm hearing or compound the damage that noise does. Solvents: Carbon disulfide, n-hexane, toluene, p-xylene, ethylbenzene, npropylbenzene, styrene and methylstyrenes, trichloroethylene. Asphyxiants: Carbon monoxide, hydrogen cyanide and its salts. Nitriles: 3-Butenenitrile, cis-2-pentenenitrile, acrylonitrile, cis-crotononitrile, 3,3’-iminodipropionitrile. Metals and compounds: Mercury compounds, germanium dioxide, organic tin compounds, lead. Certain pharmaceuticals: These include various antibiotics (eg tetracyclines), some diuretics, certain analgesics and antipyretics as well as certain antineoplastic (cancer) drugs. Ototoxic chemicals are classified as neurotoxicants, cochleotoxicants or vestibulotoxicants, based on the part of the ear they damage. These chemicals can reach the inner ear through the blood stream and cause injury to inner parts of the ear and connected neural pathways. Keywords to look out for on labels or safety data sheets in relation to ototoxic substances may include the following. Neurotoxicants: substances that may affect the central or peripheral nervous system. Cochleotoxicants: substances that mainly affect the cochlear hair cells of the ear, which are the sensory receptors, and can impair the ability to hear. Vestibulotoxicants: substances that may harm the hair cells on the spatial orientation, body balance and movement control organs. These two key pieces of legislation, together with the over-arching Health and Safety at Work, etc Act 1974 as amended, represent the main framework by which employers will need to deal with ototoxic chemicals in the workplace. Unfortunately, awareness around ototoxic substances remains relatively low and the term ototoxic may not appear on many safety data sheets. To this day, there are a number of unanswered questions in the current research and knowledge about ototoxic chemicals. There are various reasons for this, not least because it is difficult for occupational health experts to tease out the specific effects of combined and other confounding factors which can affect hearing such as smoking, alcohol consumption, ageing and exposures outside the workplace, in relation to work-related ototoxic substances alone. Nevertheless, limitations in understanding this occupational hygiene issue are no excuse for apathy in terms of controlling the risks and raising awareness, given the life-changing risks associated with ototoxic substances. Work-related substances such as solvents, heavy metals, asphyxiants and certain drugs can have a toxic effect on the ear or its nerve supply, by themselves, in the absence of noise. Workers who are exposed to noise as well as ototoxic substances suffer combined effects which may be the same or greater than the predicted sum of the single effects. Other confounding substances and effects outside the workplace can harm workers’ hearing, such as smoking, alcohol consumption and ageing. Key pieces of legislation for the control of risks relating to ototoxic substances in the workplace include the Control of Substances Hazardous to Health Regulations 2002, the Control of Noise at Work Regulations 2005 and the Health and Safety at Work, etc Act 1974.